Granite is one of the most popular finishes in homes today for countertops and high-end flooring. 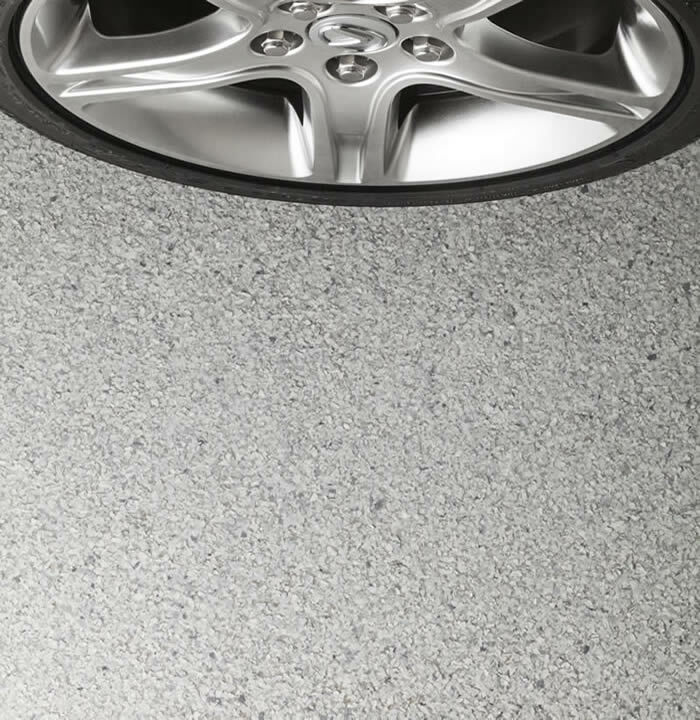 Now you can have the elegant look or granite on your garage floor with PremierOne's Stone floor coating. 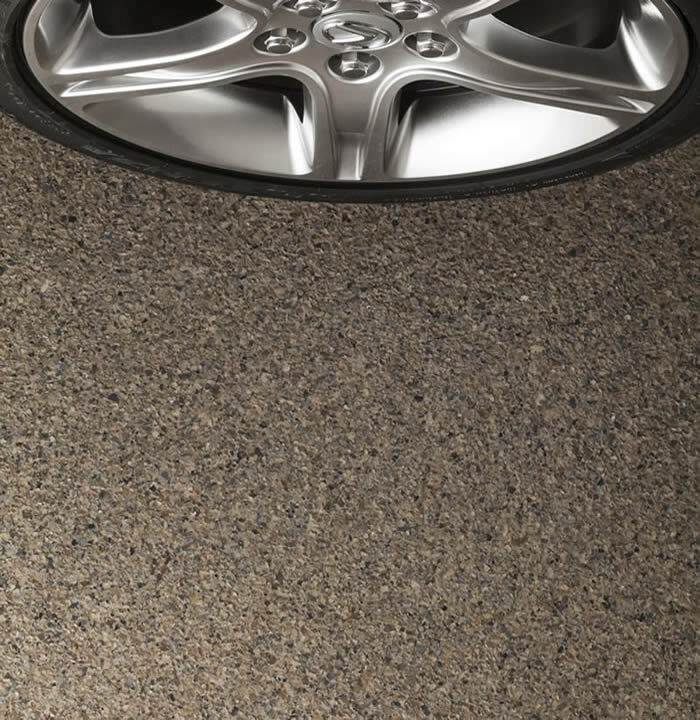 The 1/4" chips imitate real stone in six natural colors, creating an incredibly beautiful floor, turning your garage into fully-functional extended living space for you to enjoy. 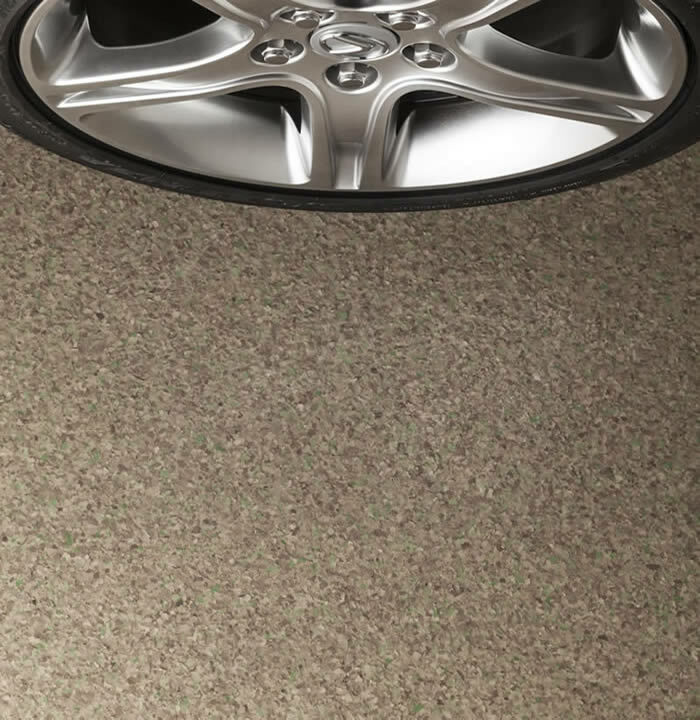 It's the perfect foundation for parking any vehicles, since the PremierOne floor coatings are the toughest hybrid polymer floor coatings available. 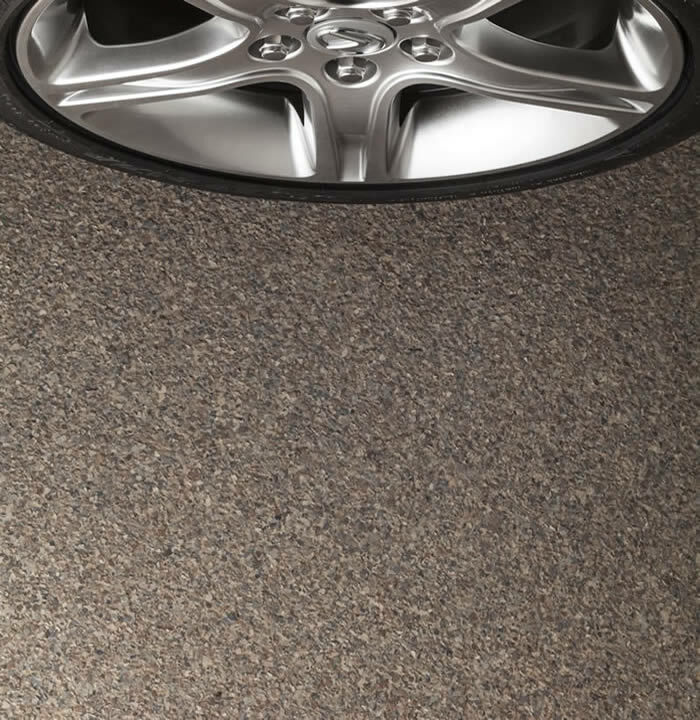 The non-porous surface repels water, auto fluids, paint thinner and other chemicals, so spills wipe up leaving the floor perfectly intact with its glossy shine. 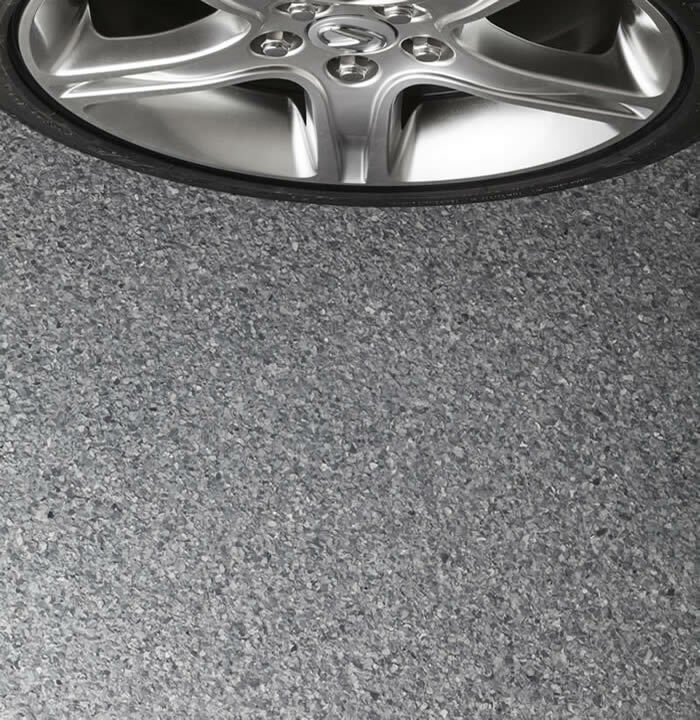 For a Man Cave or media center, the PremierOne Stone floor coating stays color-true year after year. Your floor is guaranteed not to peel, chip, fade or stain, regardless of how many spicy Buffalo wings get dropped during the frenzy of game day, or how many victory dances pound the floor. Colors were chosen to coordinate with garage storage cabinet finishes for a polished, professional look for your garage. 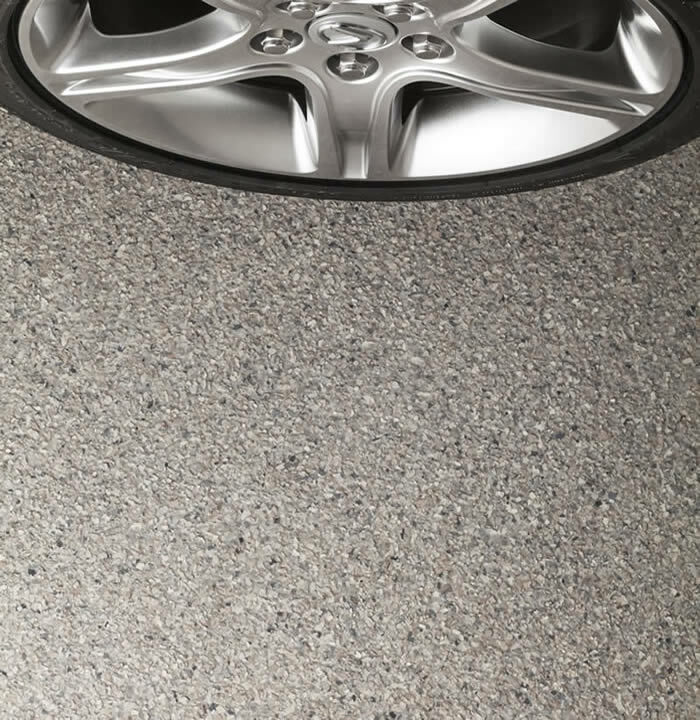 With custom garage storage cabinets to hide clutter and keep you organized, your new "granite" floor will turn your garage into a showplace and your neighbors will wonder if, just possibly, you've won the lottery.